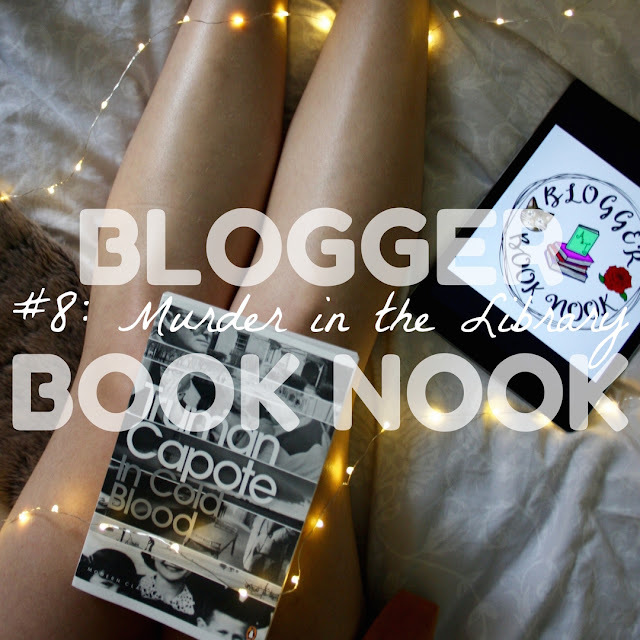 This month, the Blogger Book Nook invited its members to embrace the twists and turns of Crime and Thriller fiction, asking the question WHO DUNNIT?! Our readers are primed and ready to play detective, taking on a grisly case and solving the murder before the final page. But before we immerse ourselves in a world of suspense and mystery, allow me to introduce the Blogger Book Nook once more! 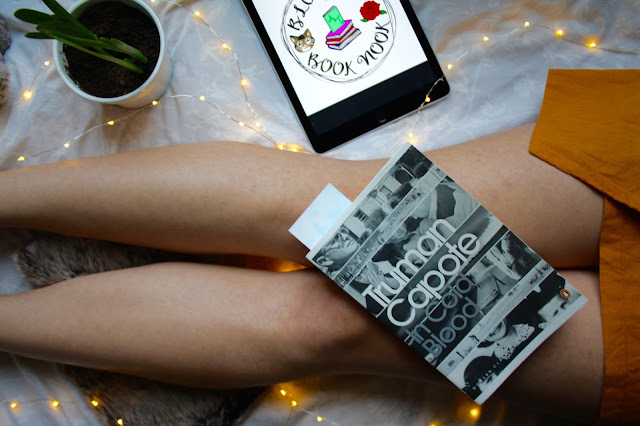 If you're not already familiar with it from my previous posts, the Blogger Book Nook is a blogger reading group created by me and Tabitha from What Tabitha Loves. Each month we produce a reading prompt aimed at encouraging our members to pick up a new book. Our monthly themes are very diverse, covering everything from young adult fiction to book swaps! 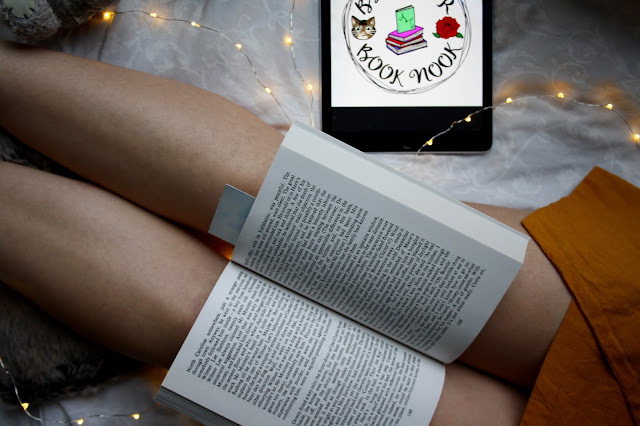 We have a lovely community of Book Nookers on our Facebook group which is open for all bloggers with an interest in reading to join, it's a place to share your bookish blog posts, engage in discussion about your favourite novels and generally up your reading motivation! Do join us there if you haven't already! 1) Who is your favourite fictional detective and why? This miiiiight count as copying the lovely Hels's answer to this question in her Murder in the Library post, but I have to say Sherlock Holmes! The fact that I am more than a little bit in love with Benedict Cumberbatch's portrayal of him in the BBC series has a lot to do with it. Eye candy aside, I absolutely love watching Sherlock's powers of deduction at work. I remember watching the first episode in the TV series where he deduces John Watson's character so accurately just from his wristwatch. I think that Sherlock was very skillfully written by the Moffat and Gatiss. I must say, however, that I have felt that the series have been going downhill since season 2 onwards - if you also watch it, you'll have to let me know your thoughts in the comments! 2) Do you enjoy being able to solve the mystery in a book before the characters do, or do you like to be kept guessing until the end? While it is good fun to try and work out who is responsible for a crime before the end of the book, I am always most satisfied with a novel when I have absolutely no idea how it's going to end! Plenty of unexpected twists and turns and plots where anyone could be a suspect really keep me engaged. I especially found this to be the case in the Daisy Dalrymple mystery that I read a little while ago for January's reading prompt. When the murderer was revealed right at the end of the novel, I was surprised which made the book a success in my opinion! 3) Murders, missing people, or heists and thefts: Which do you find most compelling? If we're talking novels, a murder mystery never fails to keep me enthralled. While I don't mind graphic descriptions of a murder scene in a book, when it comes to films or TV shows, I am a total wet blanket. I just can't stand the sight of blood, guts, and gore! I watched most of The Revenant from behind my fingers because it was all just too realistic and greusome for me - much to my family's amusement! 4) What keeps you most engaged in a crime plot? Intriguing characters? Mysterious settings? Or a whole lot of action? Characterisation is definitely key for me. There's nothing that makes me want to turn the pages faster than learning more about the characters and different facets of their personalities. Deliberately withheld information always keeps me hooked as well. With the novel that I picked up for this month's prompt, covered in greater detail in my mini review below, I was really captivated by trying to work out the culprits' motives for their crimes. The author didn't reveal this until much later in the book and the withholding of this key element of the plot ensured that I couldn't put the book down. 5) Crime is a popular theme for novels, TV shows and videogames: Which is your favourite way of experiencing the genre? Anyone who has ever seen me play Mario Kart will know that videogame skill is not a talent that I possess, so I'll definitely be leaving Grand Theft Auto to my brother here! I do enjoy a good crime themed film, I was literally on the edge of my seat whilst watching the movie adaptation of Gone, Girl with my Mum and sister last year, we were all shouting at the screen and staring open-mouthed when it reached its climax! I really need to read the novel to see how it matches up. 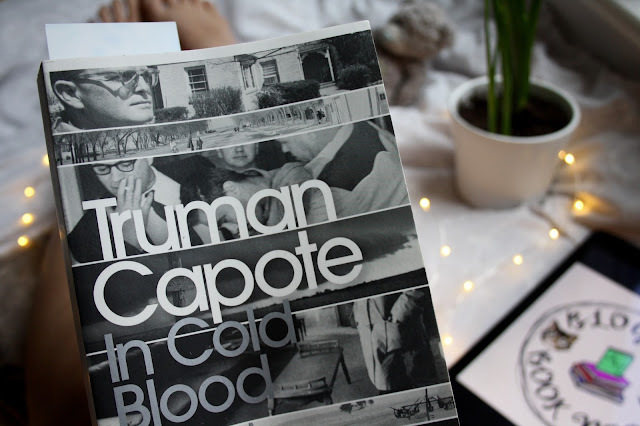 Capote supposedly drew on many in-depth interviews that he had personally conducted with the murderers when writing the novel, and he claimed that the book provides a completely truthful retelling of events. However, at the time of the novel's publication, many people connected with the Clutter murders contested its accuracy, saying that some of the conversations and interactions between the characters were entirely fictitious. Regardless of the historical accuracy of the novel, it is an extremely compelling read. The reader knows almost immediately who committed the crime and whilst I was expecting this to spoil the enjoyment of the story, this was by no means the case. The characterisation of the criminals is masterful. Getting to know them so well as the action unfolds creates an interesting emotional dynamic for the reader. As you work your way through the book, you even start to feel for the murderers despite their evil actions, in particular when they are placed on trial and are not given a fair hearing. Some parts of the novel absolutely flew by for me, especially when the criminals are captured, but others, where a lot of time was spent describing specific scenes and landscapes, did drag a bit. I wouldn't say that this ruined the reading experience but anyone who picks up a copy of this novel should bear in mind that some sections will need a bit of work to get through. Nevertheless, the story will certainly stick with you after the final page and I would recommend it to anyone! What are you reading at the moment? Are you a fan of crime reads? Comment below! Say hey to my April advertisers!